A loan against property is an attractive source of funds which can be used for multiple needs. If you have a property to your name, you can mortgage the property to a lender and avail a loan against the property’s value. 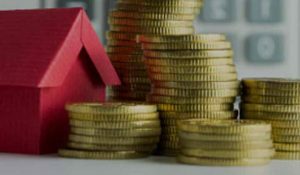 Loan against property is, therefore, easily available, comes with low-interest rates and also allow substantial funds as the property’s value is quite considerable. Repayment of the loan is done through Equated Monthly Instalments (EMIs) which include the principal component of the loan as well as the interest rate. Moreover, borrowers can determine the loan against property EMI through EMI calculators before applying for the loan. Do you know what the calculators are and how they work? What is a loan against property EMI calculator? A loan against property EMI calculator is an online calculator which helps in calculating the EMI of the loan. You can also adjust the EMIs calculated by changing the loan details and arrive at the most affordable EMI amount. A loan against property calculator requires three details to calculate the EMI of the loan. After the details are entered into the calculator, the EMIs are calculated and displayed. You can also change the input data to change the EMI generated. Interest rates, usually, cannot be manipulated because they are fixed by the lenders. The other two calculation parameters, however, can be adjusted and you can find the EMI which would be most affordable for you. If you choose the loan against property calculators offered by loan aggregators, you get the benefit of comparison. The calculator calculates and shows EMIs of multiple lenders in a single calculation. You can compare the different EMIs charged by different lenders for the same loan amount and repayment tenure. This gives you an idea of the underlying interest rate which causes a difference in the EMI calculated. You can compare the EMIs and choose a lender that charges the lowest interest rates and has the lowest EMIs so that the EMIs are lighter on your pockets. Online loan against property calculators also allows you to apply for the loan online. After calculating and adjusting the EMIs you can apply for the loan through the same platform. This makes the application process simpler, easier and quicker. So, determining the loan against property EMI is not a difficult task. All you need is the loan against property calculator and the EMI would be calculated easily. Get a Travel Loan To Plan a Wonderful Vacation!